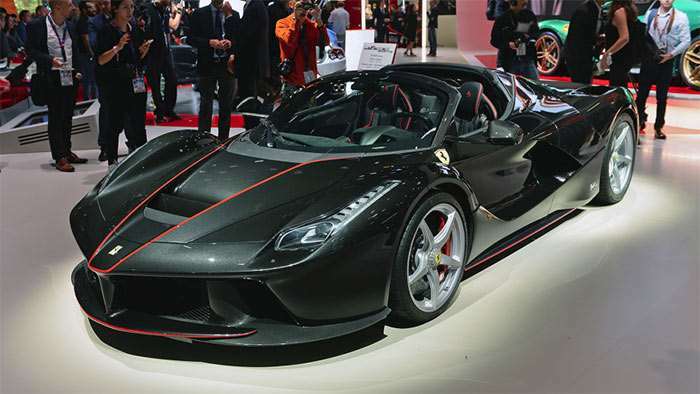 Ferrari swore it would only build 209 of the LaFerrari Aperta Roadsters. It has gone back on that promise, for a good cause. Ferrari is building another LaFerrari Aperta roadster making the total number made 210. The catch is that the car, auctioned off by RM Sotheby’s, hasn’t been built yet. Ferrari will build the car to celebrate its 70th anniversary and the car will have a unique paint scheme. The official unveil of the car will come at a celebration in Maranello. It’s not clear what the special paint will be, but it is expected to be a homage to a successful racing car of the past. The car will be auctioned off for an unnamed charity. The auction house expects the ride to go for as much as $4.7 million. It was hard to buy one of these cars if you had the money originally, this may be the best chance for some uber-wealthy Ferrari fan to get hands on one of these cars.